← A Change of Plans or an Excuse? 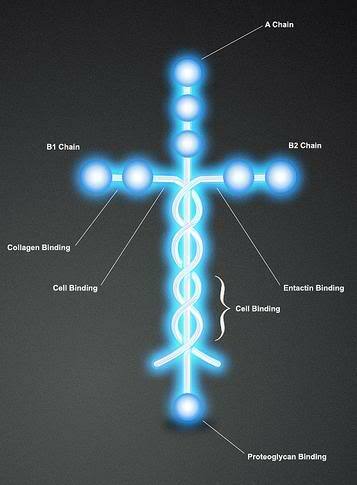 I had this type of experience recently when I read an article about a protein called Laminin that I had heard about a few years ago. My faith has grown in ways I could have never imagined since then and the result was that this information was very exciting to me in this season of Lent. This was so cool and the timing was appropriate as we remember the incredible sacrifice Jesus paid for each of us on the cross this Good Friday. The Bible verse above reinforced its significance to me and I hope to all of you who run and want to improve your physical and spiritual bodies through regular prayer and exercise. What I did take away from what I read was that it’s not a sign or “proof” that we need, but faith. All of us might be tempted to read or look around for signs or messages from above but the only place anyone should be looking is in the Bible. The Bible teaches all we need to know to strengthen our faith but we must regularly open the Bible and read it to learn, believe, and practice the lessons He teaches us through His Word. This entry was posted in Colossians, Prayer and tagged Bible, Christ, Faith, fitness, God, Good Friday, Jesus, Laminin, running. Bookmark the permalink. Thanks Lori, I hope you can join us on Saturday for the “Easter” run. That’s pretty cool, Nick. I had never heard about this protein. I guess some people look for signs everywhere (the face of Jesus in the clouds, in the wallpaper, etc.) but I agree that the complexity and beauty of our bodies, the earth and universe is enough of a sign for those who have faith.